…Why else would Isaac Newton, fresh after discovering gravity, start research on destiny and its properties if it wasn't for some rogue apple knocking his noggin? 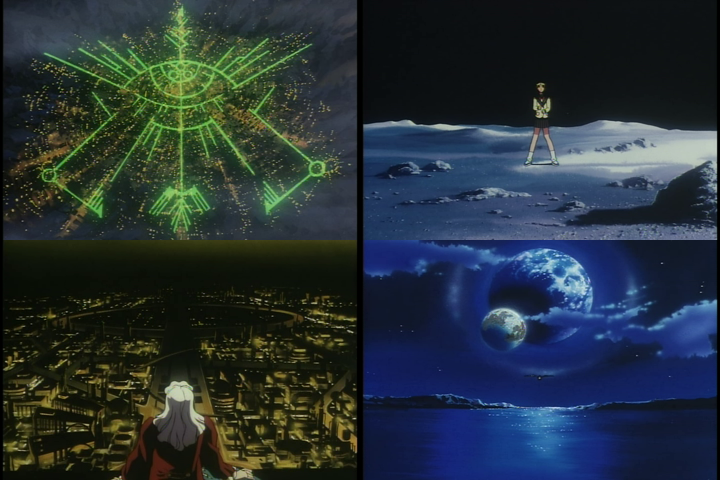 Or maybe this entire series is all just a dream, a fever dream of a dying scientist who never figured out how fate works? If it is a just a dream, how is he including 20th century Japanese high school girls in it, nevermind also speaking Japanese, hell why is he imagining himself as a Japanese product meant for television in the particular year of 1996? If you are either Japanese or a guy who bought the individual volumes as they were released, I imagine you were highly pumped and relieved to FINALLY see how Van gets out of his predicament. 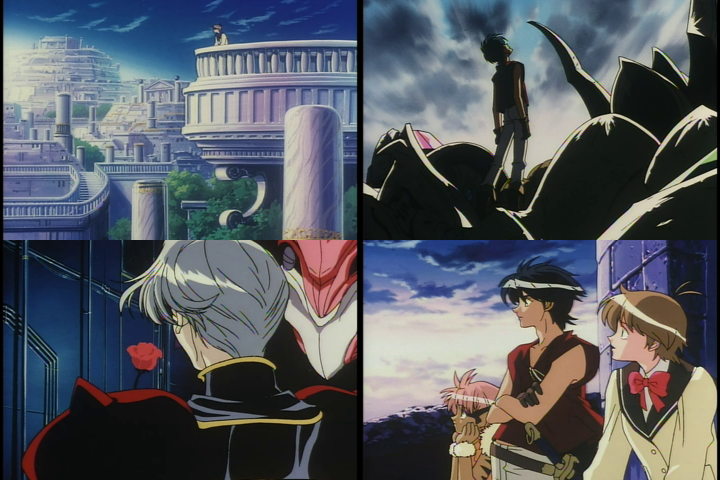 Thankfully, since it is Escaflowne, the conclusion to this harrowing cliffhanger is resolved with its usual high quality dramatic flair with a bit of grand teasers with where the story might be going. There are no complaints to be had here. 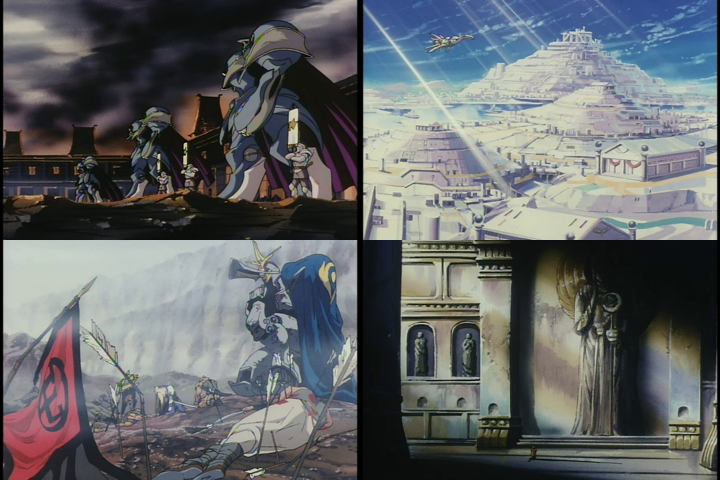 Here we hit the climax and conclusion of the Freid arc, where our heroes are given a terrible defeat at the hands of Zaibach. What a way to conclude the midpoint of the series with one gigantic bloody nose. 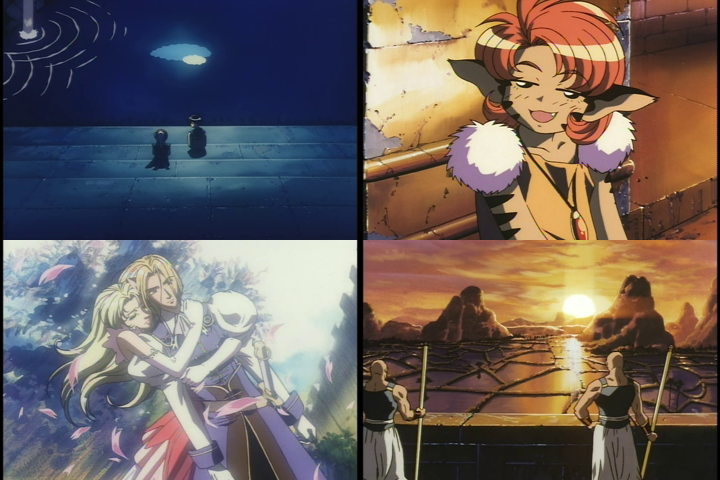 We have seen Zaibach’s might given their easy takedown of Fanelia, but that kingdom is backwater compared to even Freid. Even so, it is pretty much a fact now that Zaibach is also at its best with raw power. Our heroes can do surgical strikes, but on a battlefield? That’s quite the different story. 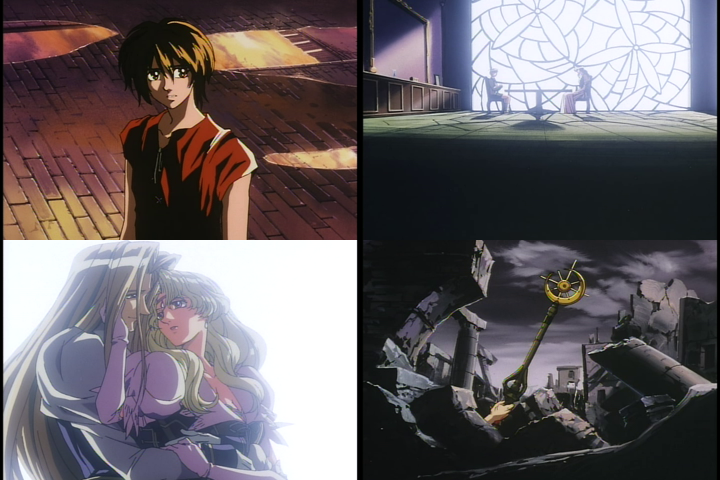 The Vision of Escaflowne Episode 11 – Erryboddy do the Doppelganggank! This is quite the low point episode for our heroes. While losing Fanelia and being manipulated by both Asturia and Zaibach wasn’t enough, they’re on frayed terms with Freid now. It’s quite a low point for them in this arc (the lowest ones will be coming soon), and overall makes for a… modest unassuming episode. 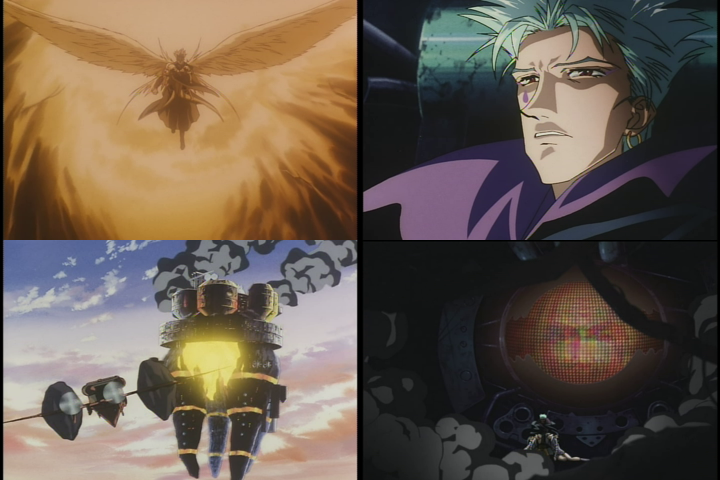 The crux of the episode falls upon the encounter between Hitomi and the doppelganger, Zongi, and that part provides a rather intriguing experience. 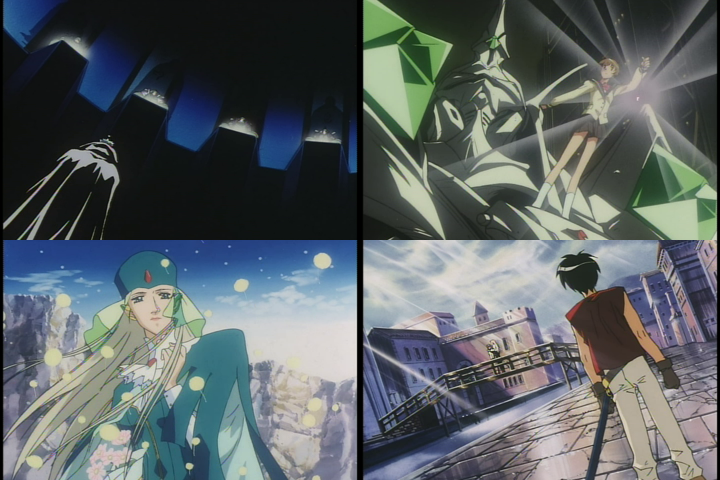 Read more about The Vision of Escaflowne Episode 11 – Erryboddy do the Doppelganggank!